Made of superior grade steel, these Squares are permanently set at a 90-degree angle and remain unaffected by climatic changes. Available in a 6-inch length, they�re perfect for machine set-up, as well as hand tool operations. 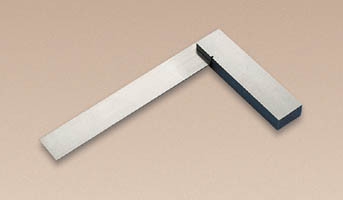 We recommend these all steel Squares for those projects where precision is a must. Go back to the Layout and Measuring Index!